Growing up, Elizabeth Petty had a variety of mentors who shaped her career and who she is today. Her mother, an elementary school teacher, first sparked her interested in education, and her father, a computer programmer, introduced her to the joys of math. Her high school math teacher, Beverly Smith, then showed her how her passions could be used, as did her college math education professor, Dr. Sharon Crumpton. Under their tutelage, Dr. Petty blossomed, earning a Bachelor of Science in mathematics from Belmont College in 1991, a Master of Education from Belmont University in 1995, and a PhD (ABD) in mathematics education from Vanderbilt University in 1998. She also became a licensed professional teacher in the state of Tennessee and a national board certified teacher in adolescent and young adulthood mathematics. Now, Dr. Petty is using her background to serve as a numeracy and data coach at Meigs Middle Magnet School, where her responsibilities lie in working with teachers to refine their practice. Her goal with the institution is to develop ways to help individual students succeed and reach their potential. Dr. Petty’s work has always been student-centric; her main interest is seeing students go as far as they can go, and she considers her greatest achievement to be the accomplishments of the more than 2000 people she has taught. She finds it particularly validating when she learns that former students are in careers that use math. To spread her passion further, Dr. Petty co-authored, “Activities for Mathematics for Elementary Teachers,” and has participated in numerous presentations, workshops, and discussion. She also mentors teachers seeking national board certification, and is an accreditation site visit team member through the Council for the Accreditation of Educator Preparation. Since 2017, Dr. Petty has been a part of the leadership development committee of Delta Kappa Gamma, and since 2016, she has served as the organization’s finance committee chairman. Other notable community endeavors include Metropolitan Nashville Public Schools Workshop Designer for the Tennessee Mathematics Standards Revision Teacher Training, Tennessee State Department of Education Workshop Designer for the Dual Credit College Algebra Teacher Training, Battelle for Tennessee Grant Reviewer, and PACE Representative for the Metropolitan Nashville Education Association. She maintains affiliation with the National Council of Teachers of Mathematics, Tennessee Mathematics Teachers Association, Middle Tennessee Mathematics Teachers Association, National Education Association, and ASCD. Previously, Dr. Petty was a consulting teacher, instructional coach, data coach, and mathematics teacher at the Martin Luther King Jr. Magnet School, and the curriculum supervisor for mathematics and a mathematics teacher at the Davidson Academy. She garnered further experience as a research and teaching assistant at Vanderbilt University, an adjunct instructor at Cumberland University, and a mathematics teacher at Bellevue Middle School. In light of her hard work, dedication and success, Dr. Petty received the Byrn Bible Award and the Richard Bryan Award from Belmont University in 1991 and 1988, respectively. She was also honored with inclusion in Who’s Who of American Women, Who’s Who in American Education, and Who’s Who of Emerging Leaders. When Dr. 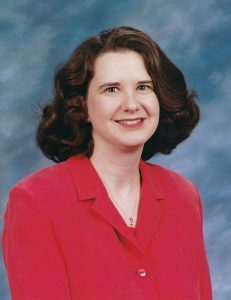 Petty isn’t working, she enjoys reading, watching sports, walking, and hiking, as well as volunteering at the Grace Baptist Church, where she is currently the assistant treasurer.